Wizaga was founded by two industry veterans to develop games that utilize digital and physical practices that are both player-facing and developer-facing. Using a variety of technologies, we seek to create new design processes and modes of play that embrace the tactile qualities of real materials and physical, human interaction. Kyoung Lee Swearingen, prior to joining the Department of Design faculty at The Ohio State University, worked in the film industry over the last decade as a Technical Director of Lighting at Pixar Animation Studios and DNA Productions. Kyoung has worked on a variety of features and shorts including: Ratatouille, Wall-E, UP, Cars 2, Toy Story 3, Brave, Monsters University, Presto, La Luna, The Blue Umbrella, Mater’s Tall Tales, Partly Cloudy, Ant Bully and the Jimmy NeutronTV series. Her work has claimed numerous awards from the Academy Awards, BAFTA, Visual Effects Society, The American Film Institute, as well as many others. By converging digital and physical mediums through exploring various technology, Kyoung's current research focuses on promoting human-centered collaboration in games and animation which may exists between the developers, the players, or/and the players vs. the game. 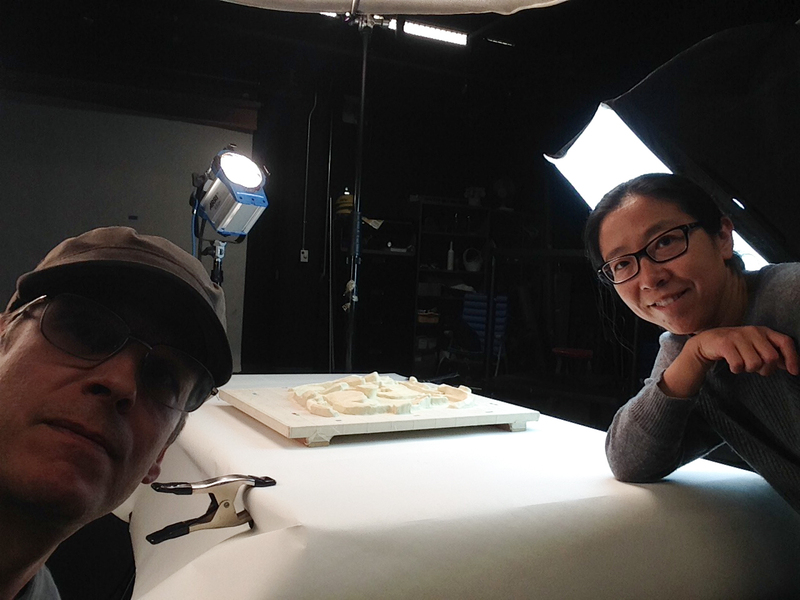 Furthermore, Kyoung is an animation faculty for the new major - Moving Image Production ( https://film-studies.osu.edu/programs/majors/MIP ), and her main expertise in teaching and research is lighting, pre-production, post production, visual storytelling and cinematography for animated films and games. Scott Swearingen, prior to joining the Department of Design faculty at The Ohio State University, worked in the video game industry since 2003 as a game designer, level designer, and environment artist. Scott has worked on a variety of award-winning games and franchises including Medal of Honor, Brothers In Arms, The Simpsons, Dead Space, The Godfather and The Sims. His current research and creative works focus almost entirely on cooperative, multiplayer games where players must collaborate with one another as they strive towards shared goals. Scott is also interested in the bridging of digital and analog games and in particular, the spaces in which player interactions occur.